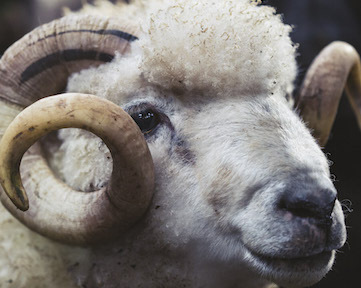 Oliver has lived in Shetland all his life and worked with wool for 52 years. He has judged, graded, sorted, worn, promoted, researched and been inspired by Shetland wool in his work at Jamieson and Smith, also known as ‘The Woolbrokers’. Elizabeth is a spinner and knitter who gained much of her craft as a child, observing and learning from family and friends in Shetland. Her love of fibre became a profession. Her business, Shetland Handspun, now offers handspun yarns, handspun and handknitted garments, and tuition in spinning and knitting. Elizabeth has demonstrated, lectured, and taught workshops in spinning, lace knitting, and Fair Isle knitting in Shetland and throughout the U.K., Europe, and the U.S.
Donna Smith is a textile designer and maker living in Shetland. Following her degree in Marine Biology, she decided to set up her own business, which was sparked by an interest in making felt from fleeces from her family’s flock of sheep. Donna uses a variety of textiles and techniques and is currently focusing on her interest in knitting patterns and teaching knitting. Hazel has been knitting for over 50 years and since 2008 has held the illustrious title of ‘World’s Fastest Knitter’ having developed a fast and efficient technique. She is also a talented designer and has written many knitting patterns. Hazel’s love of knitting Fair Isle is evident throughout her work and the endless variety of colours and patterns is a constant source of inspiration. Tina is a Danish knitwear designer with a bachelor degree from The Colleges for Arts & Crafts in Kerteminde, with Majors in Knitting, Weaving and Embroidery. Since 2004 she has been running her own business Kastaniestrik, selling her own patterns and kits together with the lovely yarn from Jamiesons of Shetland. The seaside and nature outside her studio and her hometowns famous author Hans Christian Andersen is a constant source for inspiration when she is creating garments and small adventurous designs, all things with a high level of finesse, creativity and humour. Terri is a Shetland born and based knitter and designer who has grown up surrounded by inspiration. Watching her grandmother grow a knitwear business sparked an interest for Terri at a young age. She is now working on her own skills and designs as well as starting her own business. Using mostly Fair Isle in her designs Terri has a keen interest in colour and enjoys taking inspiration from everything around her. Niela Kalra is a Shetland-based knitwear and textile based designer, working under her own label Nielanell. 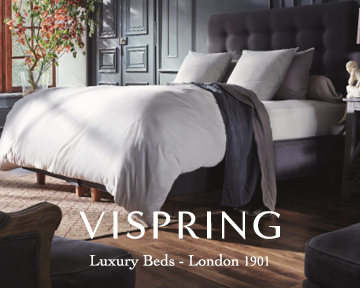 She is particularly known for her use of colour and texture, and an innovative approach to textile construction. 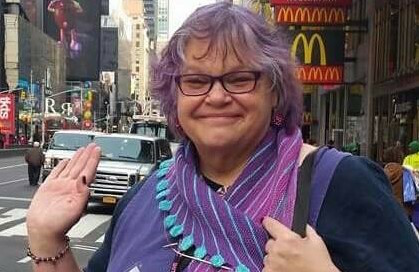 Niela is passionate about sharing her skills, and is an experienced tutor in the arts of dyeing, spinning and design. Joanna’s interest in textiles began when her grandmother introduced her to Fair Isle knitting as a child. She was soon designing her own colourways and patterns which led her on to studying textiles at Shetland College. Soon after, she began her design company Joanna Hunter Knitwear, and now supplies to trade all over the world, with retail outlets in the UK, Scandinavia and Japan. Helen Robertson is a textile and jewellery artist living and working in Shetland. She is inspired by Shetland and its rich textile heritage and employs these techniques in her work, celebrating and paying homage to the skilled knitters and designers of Shetland’s past. Creating connections is important to her; connections between current and past knitters are made possible by the wearing of her textile jewellery, connections between us and the natural world are celebrated within her crafted natural pieces. She is happiest creating new designs in wire or wool. Linda was born and brought up in Whalsay and has been knitting all her life. She tutors Fair Isle knitting at Shetland College through SIC adult learning. She joined the Shetland Guild of Spinners, Knitters, Weavers and Dyers three years ago and is now the chairperson. She is currently working towards producing her own knitting patterns. 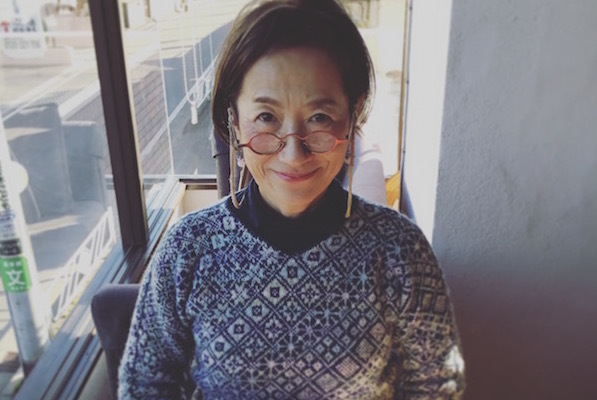 Chihiro Sato lives in Tokyo but fell in love with Shetland when she first visited in 1989. She was captivated by the subtle shades of Shetland wool and after that she began importing Shetland yarn to Japan, leading her to open her shop, Shaela, importing and supplying wool for over 25 years. Her love for Shetland and Fair Isle knitting has grown with yearly visits to these islands. She has a deep respect for the traditional patterns and methods but has developed her own ideas to create beautiful contemporary designs with colourations inspired by Shetland’s nature and atmosphere. Hélène spent her early life growing up in The Netherlands where she learned to knit and sew at a young as it was part of the curriculum in schools at the time. She has expanded her creative expression with spinning and weaving and loves nothing more than teaching and passing along to others these crafts and traditions. Hélène visited SWW in 2018 as a tutor with a few of her friends and fell in love with the islands and is thrilled to be a returning as both a visitor and tutor for the 2019 10th anniversary. Brought up in Dorset & now living on the Isle of Skye, Tania promotes the heritage craft of Dorset Buttons through her creative business TJFrog. Tania enjoys sourcing yarns predominantly grown, spun or hand-dyed in Scotland to showcase colours & textures in different Dorset Button designs. Sharing her knowledge Tania loves encouraging people to make Dorset Buttons to add a personal embellishment to their handmade textile projects. Amy has been knitting in America forever, but her heart belongs in Shetland with its strong traditions of two-color and lace knitting. She is a knitting technician! She has been teaching alongside Meg Swansen for 25 years at Meg Swansen’s Knitting Camp, which was originally Elizabeth Zimmermann’s knitting camp. Amy and Meg co-authored a book called “Knitting with Two Colors” that is a small but mighty reference of techniques for stranded knitting including steeking, cast-ons, increasing and decreasing in patter, and much more. 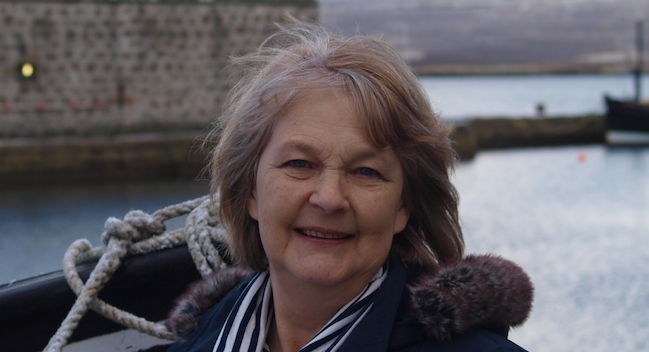 Kathy Coull is a professional tourism operator and is currently the Vice Chair of the Shetland Tourism Association. 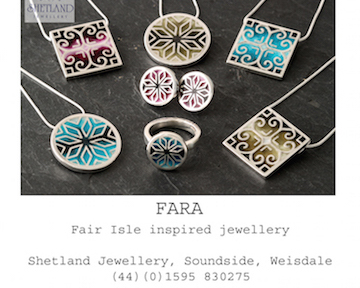 She has an independent textile practice based in her croft in the island of Fair Isle. Having mastered and taught many traditional textile skills she then studied at Shetland College UHI and gained a 1st Class BA Hons in Contemporary Textiles in 2014. She researches and uses textile techniques in original, traditional and contemporary designs; has a range of Fair Isle Home-Grown Yarns from Fair Isle’s Shetland sheep, hosts workshops, gives talks and demonstrations, exhibits work and has written papers and articles. Tori Seierstad is a Norwegian knitter living in Lillehammer, Norway. She loves wool and colours, and when her day job allows her, she designs colourwork mittens, hats and sweaters. With her knitting friends in the Mitten Guild she published the Norwegian book Eventyrvotter (Fairy Tale Mittens) in 2015. She has visited Shetland during Wool Week twice before and can’t wait to go back. 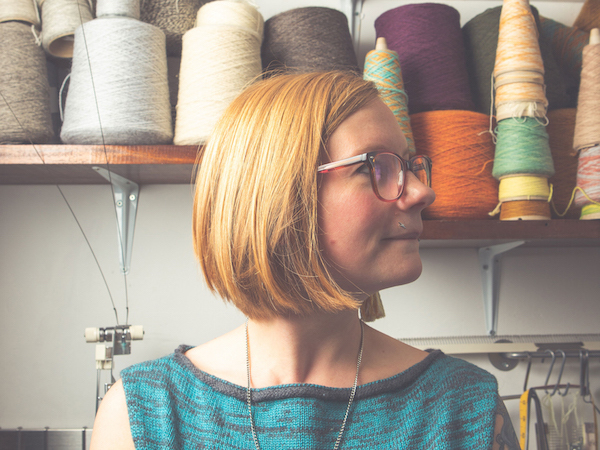 Anne Eunson is a knitwear maker/designer working in Shetland lace and fair isle, using both hand and machine knitting techniques. Anne graduated from UHI with a BA in Contemporary Textiles in 2014. Anne hails from a family of lace knitters, learning to knit at a very young age and is now one of the volunteers passing on these skills to the children involved in the “Peerie Makkers” Shetland knitting project. Rachel Hunter was born and brought up in Shetland and like most young girls in the mid to late ’70s learned to knit at primary school and it became a lifelong passion and hobby. As far back as Rachel can remember various fads, interests and hobbies have come and gone but knitting has always been a constant in her life. Rachel is a member of the Shetland Guild of Spinners, Weavers, Knitters and Dyers and enjoys knitting Shetland lace and Fair Isle. She also enjoys crochet, felting and knitting. Ria designs and makes sustainable knitwear on vintage domestic knitting machines from her studio in Bristol. Her work aims to champion the natural hues and qualities of British wool, incorporating vibrant flashes of colour through hand dyeing with homegrown and foraged plants.